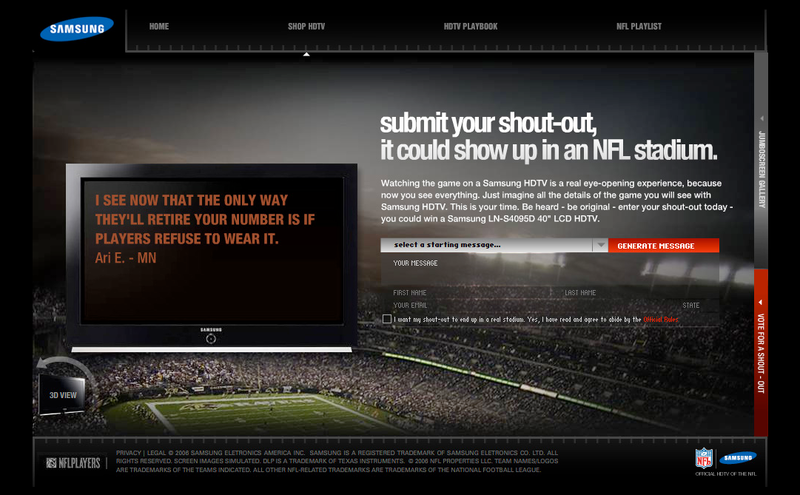 A contest for NFL fans to write the wittiest "shout out" about their favorite (or least favorite) players. 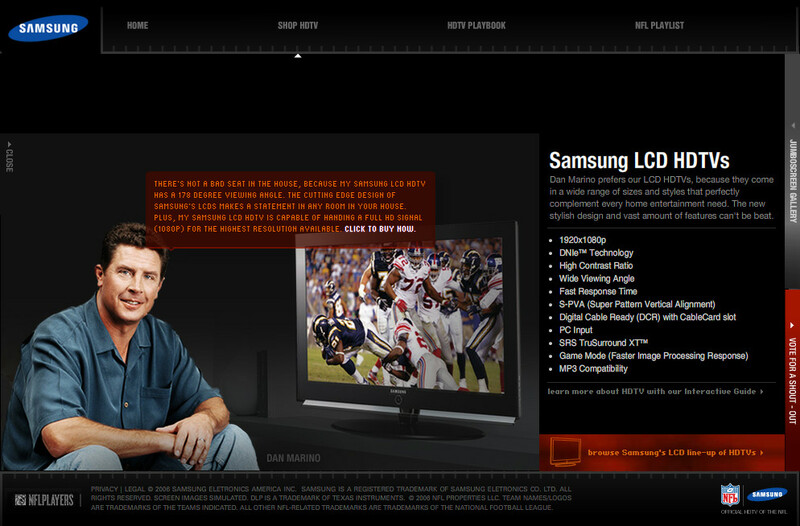 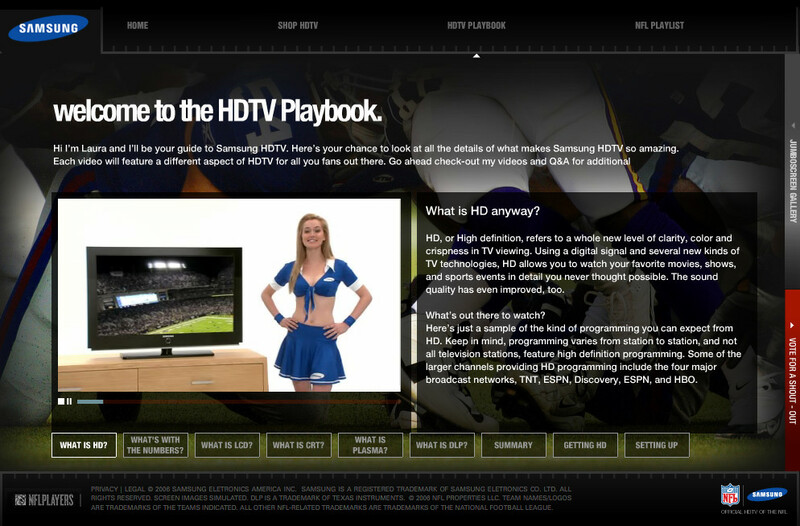 The new Samsung HDTV allows them to see the action more clearly. 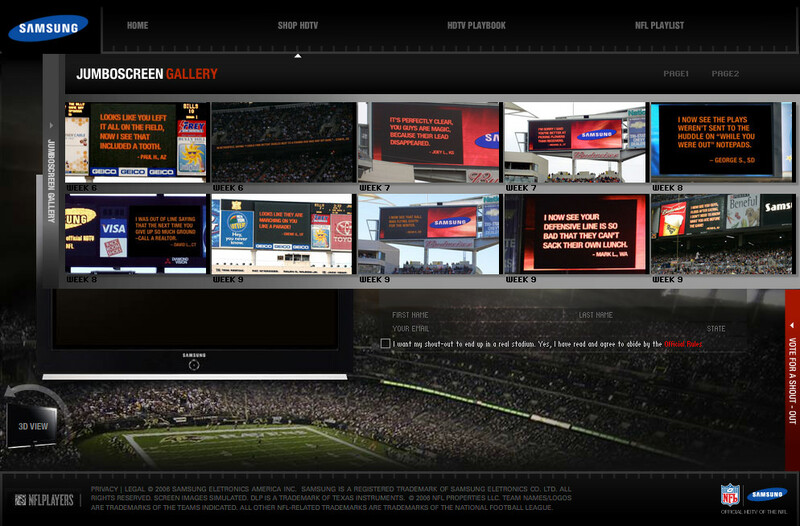 The best "shout outs" would end up on the jumbotrons in the NFL stadiums.